I’ve adopted a New Moon practice of writing down the things that do not serve me, and burning them in my toilet. Surely, I’m not the only one playing with fire in my bathroom on a Wednesday night. This ritual for cleansing was showed to me by a woman who goes by the name of Healthy Diva and later I saw different iterations popping up in various blogs and books on transitions. Some call it ceremony, others call it witchcraft, some even refer to it as gypsy tricks but either way, I cannot deny the magic in watching the fire peel at the material holding the things that I fear. Those negative thoughts, the self-talk curl and sizzle under the flame. That moment of release is what I now long for as the next New Moon approaches. I get amped. I get to press that refresh button. I get to start a new cycle. But I’ve noticed something. These deeply personal practices rarely involve elements of my writing practice. Despite being a person who uses words not only to create a career but also to create a sense of the world around her, I’ve overlooked the things that do not serve me in my art. And let me tell you, there are a lot of things I could write on that paper: imposture syndrome, inspiration anxiety, financial stress, deadlines, picky clients or your run-of-the-mill work crisis. None of these things have made it to the blaze. That changes tonight. Yes, the New Moon was yesterday, and I celebrate with lessons and dialogue with friends and community. Tonight is the burning. On May 28th I invite new and returning writers to celebrate New Moon in Gemini. This lunar cycle begins in deep spring burgeoning on the cusp of summer. It is my intention for us to move deeply into our writing practice. Here we will honour the subtle transition, observe that space of not-quite-spring-not-quite-summer. We will gather in the company of each other and warm to the in-between. 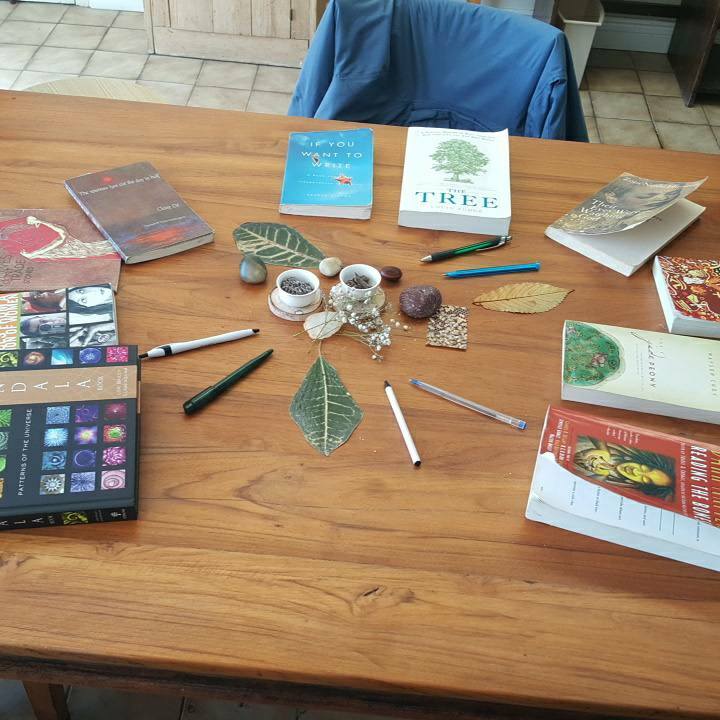 When I started Tree Sessions, I made a commitment to self and community to ease into the magic of such transitions. I made a contract with self and community to replace productivity with patience. Replace schedules with cycles. Replace timelines with transitions. I admit it started off ok, but old habits need constant ritual to keep me grounded. I need this Tree Session just as much as my participants do (maybe more!). To stay true to my commitments, I’m branching off into new territory, and it feels natural to want to explore not only the unique energies of the solstices and the equinoxes but to hold space for lunar rhythms also. Use this New Moon phase in Taurus as a month marker. A celestial save the date if you will. We are one full cycle away from the next Tree Sessions. Get yourself geared up, mentally prepped, spiritually engaged to come together and refresh our writing practice. It’s not easy work. But I guarantee it’ll be fruitful. Let’s burn up what’s holding you back. I hope you’ll join me.